Pop-Up Shop Anyone? How Do You Sell Your Art? There are a lot of option for selling your art. ETSY, Amazon’s new outlet Handmade at Amazon, art shows, and Pop-Up Shops! 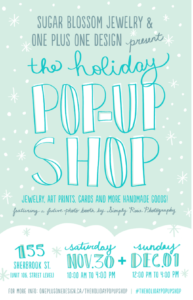 Have you hosted a pop up shop or been to one? Pop ups include food trucks, fashion trucks and trunk shows. They are a non-permanent establishment where you can sell your wares. To me this means pop-ups are for everyone! Anyone who has a good idea, products to sell, customers, and means for securing a location. It also means these are great options for an even more “immediate ” shop and can be “open for business” during special local events. You can open a pop up and “open for business” from street corner to street corner during festivals, and even open while on vacation in your favorite city. The options seem endless. Pop-ups are not a new concept. They are becoming more mainstream and more readily acceptable and understood. People know they are a “don’t wait or it will be over and you’ll miss it!” event. I’d love to hear from you about your comments, ideas, and experiences with pop ups or other avenues you’ve ventured into. Please leave a comment – let’s get the conversation going! A lampworker friend used to make all the beads at home then head down to the beach. He would go where there was a lot of foot traffic, spread out a blanket on the sand, assemble his jewelry and talk with everyone going by. To be fair, he was quite a charming character, so he may have done a bit better than you or I might. The same thing works at a coffee shop. Just start assembling and visiting (southern for engage in conversation) with those around you. I guess I had an accidental one of those then. I was out to lunch with girlfriends who wanted to look through some of my jewelry items. Soon the waitresses were gathered around the table choosing earrings, which prompted a few more onlookers, and by the time lunch was over, I had paid for lunch for all of us and still had a couple hundred dollars that I had not expected to go home with. That’s awesome and a great example of an “unintentional” pop up! We’ve heard many similar stories and it’s a great thing when you start showing a few pieces and all of a sudden you have a mini-show going! I think pop up shops are great but I have no clue how to start one. Do you need ‘city’ permission if you are on a street corner? How do you approach a brick & motar owner about creating one? I went to your blog, but I don’t see anything regarding pop ups, maybe you are still finishing it? Sounds like a good idea but how does opening a Pop-Up shop differ from holding a stand at an event? I’m interested. I agree/wonder with Barbara. Can you just Pop Up on a street corner? licenses etc?? I’ve don’t trunk shows at stores and they work but this sounds different?? Pop-Ups are often done around New York City. Usually the person has a briefcase. This particular kind of thing is illegal in the city, and the cops chase them all over. I can see where it MIGHT be OK on the beach, though. BUT … You never know. I think I would always check first. Ya the only obstacle would be a permit and that would take the fun out of any spontaneous ideas… winter seems an unusual time to “pop up” but summer one could chill at the beach and sell /make jewellery or at a well established park… home sales could be done during Christmas season and advertise on classified sites..? Every location has different rules and regs. Check with your local Chamber of Commerce or township office for what’s needed to Pop Up in your town. Be sure to solicit info for a street corner, beach blanket, or for using a tent in a park – whatever you can think you might be interested in doing, then go from there. One of the things I love about Pop Ups and seeing the “big brands” catching on is, we have a leg up on them this time. 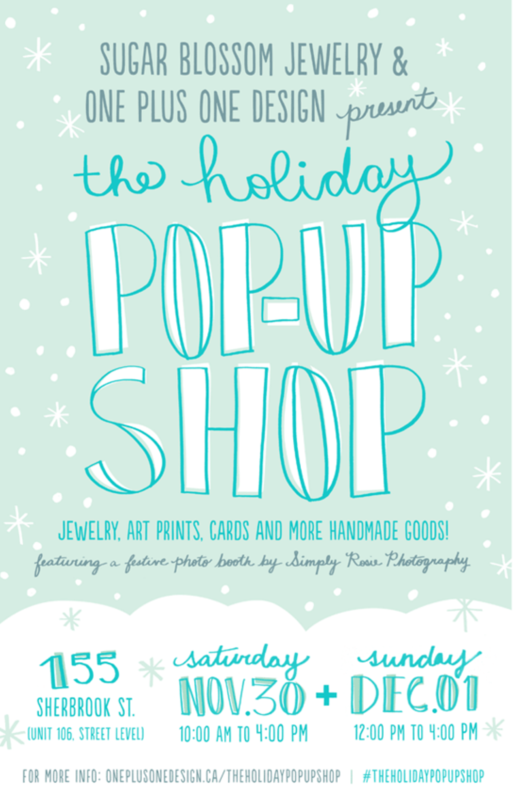 Pop ups are just like trunk shows, in-home jewelry parties and other things we have been doing for a long time. They might be doing it with more pizazz but we can easily tweak our model, use social media to create our own hype, and ride the trend. This is truly a model that captures the local market and can expand your customer base. This is perfect timing because I am just finishing up this week an e-guide on “How to Start a Pop-Up Shop without a Bankroll”. MyCarolAnne Artisan Jewelry. I have not done the pop-up, but a friend does a home show at his home three times a year. I guess that would count as a pop-up. He has gathered a following. He emails and passes out brochures starting about two weeks before the date. Those who follow him start to ask when the next date is. I believe he does rather well. I never ask about licensing, etc. Guess I should just for the curiosity.